The building where the Folklore Museum is housed today was donated by the family of Hatzistamatiou - Nicolaides, a historic family of the island. Most of the museum's exhibits were originally inside the house, while others were donated by residents of Skopelos. Among them one can find household items and handicrafts, works of potters and craftsmen specialized in the construction of knives, local costumes, paintings of popular painters and a great variety of photographs. The boat miniatures and the representation of the tarsanas (a traditional shipyard) of Skopelos highlight the local maritime tradition of the island and depict its character through the last 200 years. It is a two-story traditional house that has been turned into a museum. 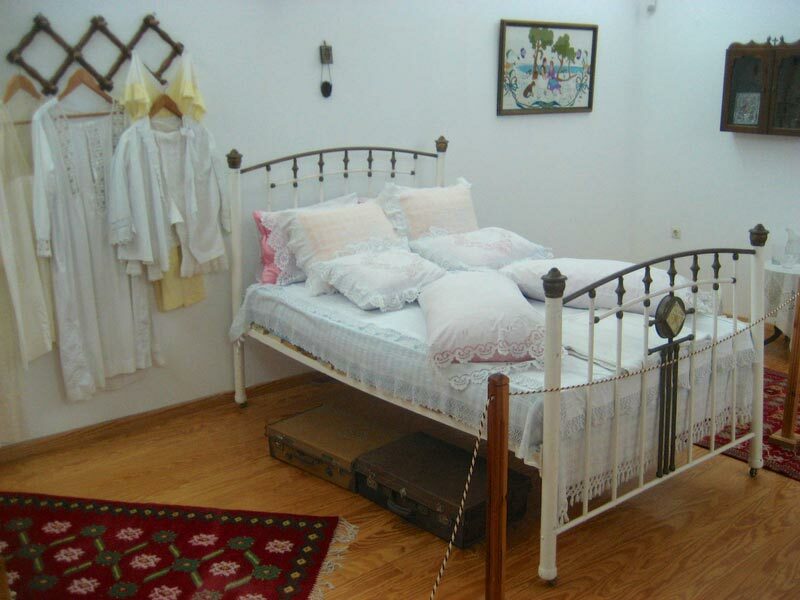 Visitors can familiarize themselves with the traditional architecture and decoration of the island and see the household items, furniture and traditional costumes of the past times. 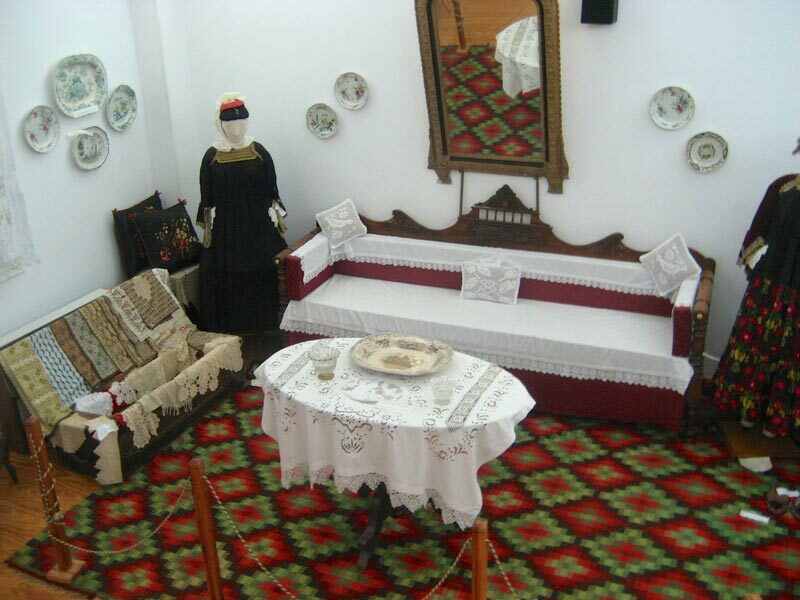 Antigone Bakratsa, who was the last descendant of the noble Bakratsa – Rebaki family, donated her house in 1995 and turned it into a museum by the name "Old Skopelos Mansion." The Bakratsa mansion was built in the district of St. Michael where many of the rulers of the town of Skopelos used to live. It has three floors and it constitutes a typical example of the local architectural concept of its time. The objects exhibited there are all priceless and mirror the lifestyle and personalities of Skopelos rulers. Furniture, women’s costumes, paintings, rare photos, porcelain, embroidery and books are some of its fine exhibits. One can also see the medical tools of Antigone Bakratsas’ father, Stamatis, which reveal the technical difficulties of provincial doctors of the time. Modern Greek scholar Nirvana Paul (pseudonym of Peter Apostolides), spent his childhood years in Skopelos. The house he lived in is located in the center of the town of Skopelos, in the district of St. John's and it is a two-story, for the most part stone-built building. It was built in the first half of the 19th century and it is a remarkable example of the traditional architecture of Skopelos, typical of the "Macedonian type”. Today the building serves as a museum and showcases the various aspects of culture, social organization and economy through the rich photographic history of Skopelos.